Living in Florida may seem hard for families to get into the fall spirit. Especially families who are new to the area from much cooler states. We have warm weather, sunny beaches, and beautiful orange sunsets. But we rarely have cool weather or need to wear warmer clothes this time of year. We definitely don’t have colorful fall leaves. So how do we get into fall? There are pumpkin festivals all over Florida, eating seasonal flavored foods like pumpkin spice latte’s, pumpkin pies, pumpkin bread, and pumpkin ice cream. The stores are filled with Halloween costumes, and candy. In Florida that is how we do it. 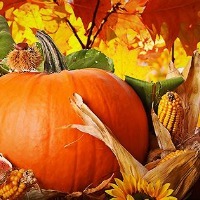 Here are a few fall festivities to take your family to and begin the start of fall and the upcoming holiday season. Every weekend in October, hours are 9:00 a.m. to 6:00 p.m. Monday – Saturday and 10:00 a.m. to 4:00 p.m. on Sunday. Admission and parking are free. They have a Farmer’s Market and pumpkin tent which accepts Visa. Vendors, rides and games accept cash. Enjoy pony rides, rock wall, bounce house, pumpkin painting, petting zoo, music, and several fall photo spots. October 31st, 6:00 p.m. to 8:30 p.m., haunted store fronts, kids can trick-or-treat around the circle, a performance of “Thriller” will take place in collaboration with the Sarasota H.S. Drama Dept. about 8:00 p.m.